Our four day "work trip" (hunting antiques doesn't feel like work to me) to Brimfield, Massachusetts was truly incredible! Three times a year, the small town of Brimfield holds the largest antique flea market in the country- with over 6,000 dealers. On both sides of Route 20, we found vendors selling art, decor, collectibles, vintage clothing, accessories, and of course, jewelry! Some of the dealers had cases and cases of high end antique pieces. We were overwhelmed (and excited!) to be surrounded by so many gorgeous heirlooms. This dealer had a drool-worth collection of antique jewelry. All of her fine rings were sorted by gemstone color! 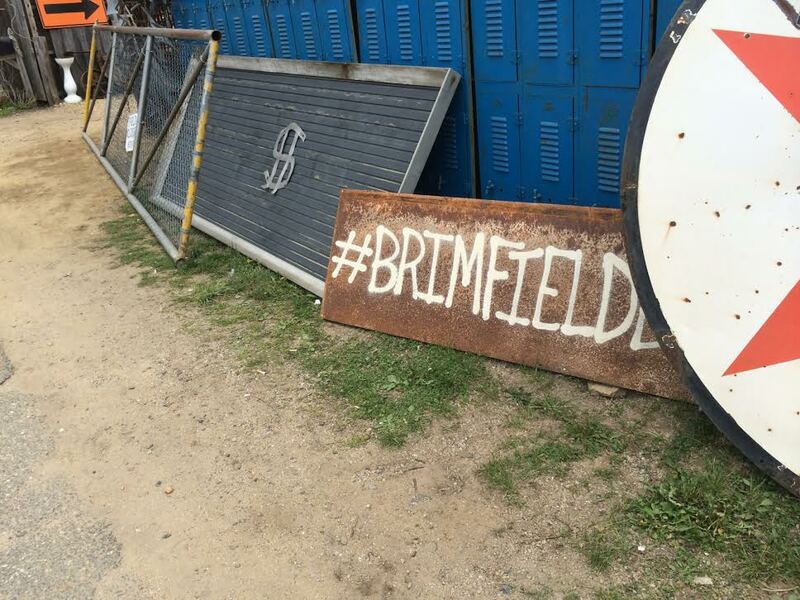 We spent four days, morning until evening, hiking through the fields of Brimfield. We even spent an entire day in the pouring rain- nothing was going to stop us from coming home with a car full of antiques. Trying on a diamond and emerald Art Deco ring! Newer PostWedding Season is Upon Us!